As the story of a grad student whose research into the urban legend of a hook-handed killer opens up a world of torment, Candyman is an artfully gruesome little horror flick that spawned two lesser sequels and now, has Get Out director Jordan Peele looking to produce a remake. Yes, as you’ve surely heard, the so hot right now Peele and his Monkeypaw Productions are in talks to give Bernard Rose’s cult horror movie from 1992 a new coat of paint, and though details on what he’s got planned remain under lock and key, the director’s at least earned the blessing of Tony Todd, who starred in the original. Speaking in a recent interview, the actor said that he’s honored that Jordan Peele wants to remake the film and is confident that he’s the right man for the job. 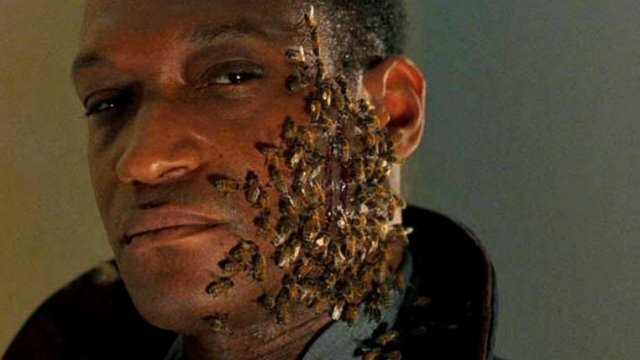 As fans will know, a Candyman remake has been floating around Hollywood for a while now. Rose even expressed interest in another sequel at one point, which would have seen Virginia Madsen return as Helen, whose encounter with the titular boogeyman acted as a potent dose of nightmare fuel back in ’92. Now, though, it seems as if we’ll be getting remake of the cult horror classic instead. And frankly, that’s perfectly fine. Especially since Jordan Peele is on board, with the filmmaker having us feeling confident in his ability to deliver a prescient horror movie with bite. No word yet on if Peele will direct as well, but his involvement alone is reason enough to be excited for the Candyman remake and as soon as more updates trickle in, we’ll be sure to let you know.